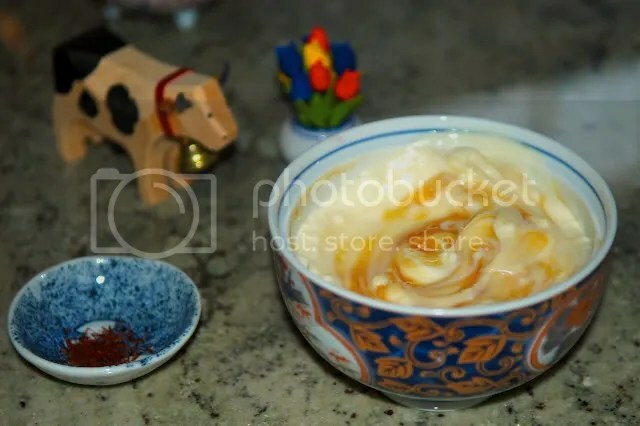 Ganga’s post on thick yogurt got me salivating. 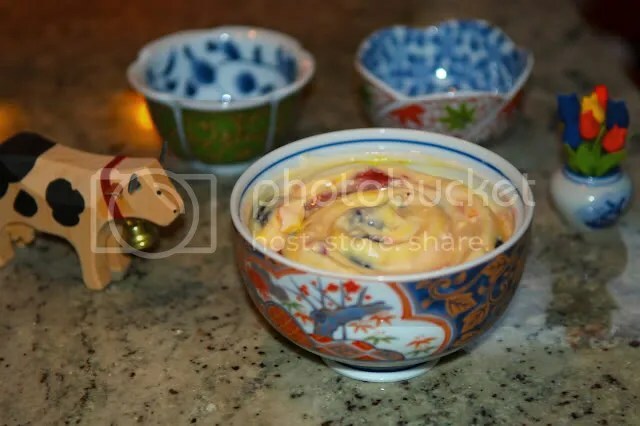 I love shrikhand, especially from Parsi Dairy Farm, Mumbai, but I shudder just thinking of the calories it packs. I’d have to run 5 miles just to burn a cup of their nectarine shrikhand! No thank you! Here is my attempt at making a low-calorie, healthy, dessert. There is such a thing! Honey, 3 tbsp; unrefined, wild honey from Kumta. In Konkani, honey is called mHovu derived from the Sanskrit moHa meaning desire. 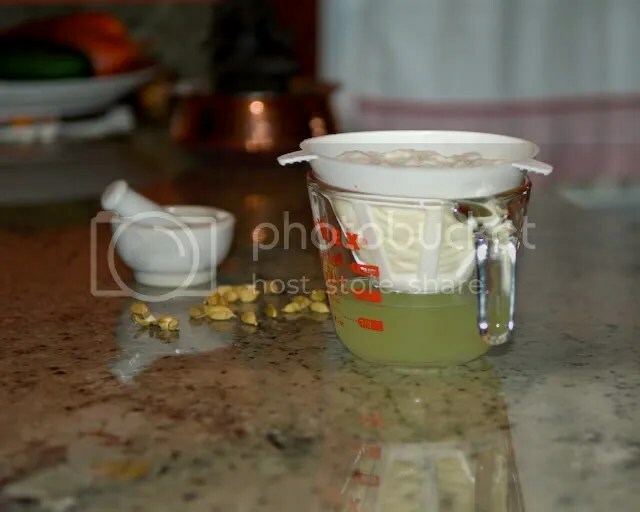 Honey is also called maDh, referring to maddening intoxication. Elaichi (cardamon); powder seeds from 5 cloves in a mortar-pestle. Kesar (saffron); we are using Iranian saffron gifted by a friend; splurge with 25+ strands. Amazing pics of saffron harvesting. We use yogurt strainers; essentially white plastic coffee filters. You can also use the traditional muslin/cheese cloth to strain, but it gets messy; or use a brand new coffee filter. Will work fine. Spoon yogurt in strainer and place over a cup to receive liquid whey. I placed covered in the refrigerator to prevent souring. After a whole day about 1/2 cup of water was released. 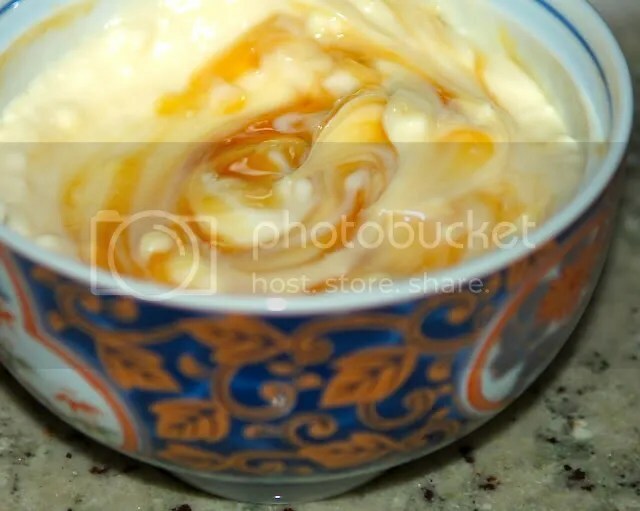 Transfer strained yogurt to a bowl. It has the consistency of soft cream cheese. Mix well to soften. Stir in honey. Spread powdered elaichi and kesar, and mix well. Add in berry medley and mix. That’s it. Keeps in refrigerator for a day. 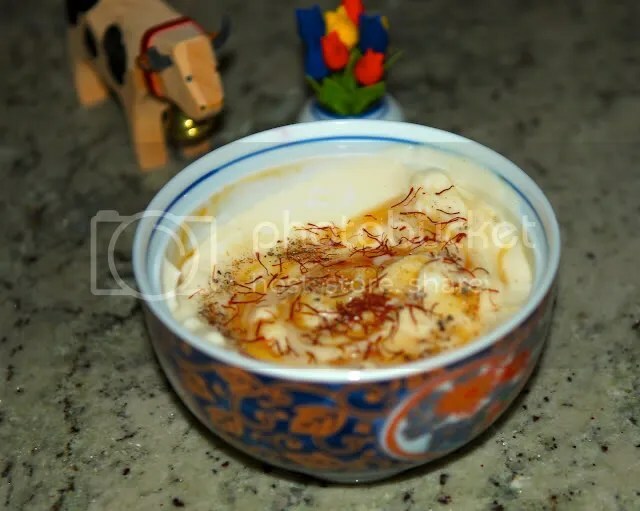 Starngly enough, I have just left some yogurt in a muslin cloth to make shrikand tonight – And I wondered if I could use honey instead of sugar as I like the greek style yogurt with honey. I may try out your recipe. Ha hA! You are only limited by your creativity! oh, I’m going to have to make this for sure! Go ahead! its easy to make, healthy AND delicious! and yes, I thought off the bowls ‘before’ I even started to strain the yogurt! Ha ha! and yes, I loved how the honey looks. OMG i have to have this tomorrow. wait, the next day, bc we have to strain it! i LOVE how you added cardamom (my fave!) and saffron, with the berries. YUM. thanks, arun! i bet your daughter loves this. Meera actually LOVES yogurt. She has learnt to actually open the refrigerator and point to the yogurt (!!). And isn’t cardamom such a flavorful spice? You can even add a tiny pinch to tea or any dessert. Great minds think alike! yes! Coffee filters will work and a bit easier. A tip: While straining, you could remix with a spoon to help the straining. I keep following your blogs. Great recipe! I also love the cute little kid Meera. My love to her. Glad you enjoyed; thanks for sharing that here. Big smile! Your shrikhand looks gorgeous and I am off to strain some more yoghurt so I can make it. Thanks for mentioning the thick thick yoghurt post! Thank you for the inspiration. Did you notice I started and ended the post with “Ganga?” The beginning and the end! i m just crazy gal. A lot of words I ate in previous comment. 🙂 I meant to tell that I haven’t had Shrikhand in a while. I m yelling to see your pics here. I just love love Shrikhand and have had in a while. Thanks for reminder…it wud be great in summer these days. Your enthusiasm comes out loud and clear in your comment. Many a times, my mind too races way faster than my brain and fingers can type the words. and go ahead, post a shrikhand recipe! 🙂 I love it and am looking forward to eating globs of it at Parsi Dairy Farm. and glad you liked the bowls. We got them during a trip to Tokyo some years ago. They have the most colorful dishes and bowls. Awesome!